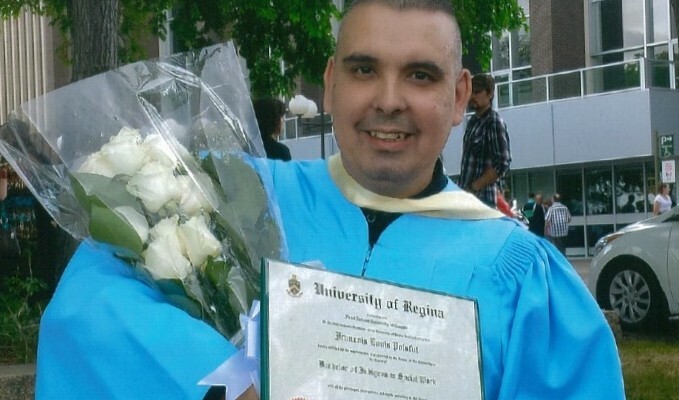 Congratulations to Francois Polsfut on the successful completion of your University of Regina Bachelor of Indigenous Social Work, Indian Institute of Technology. Francois came to the Friendship Inn as a practicum student, then continued as a staff member while he finished his degree. 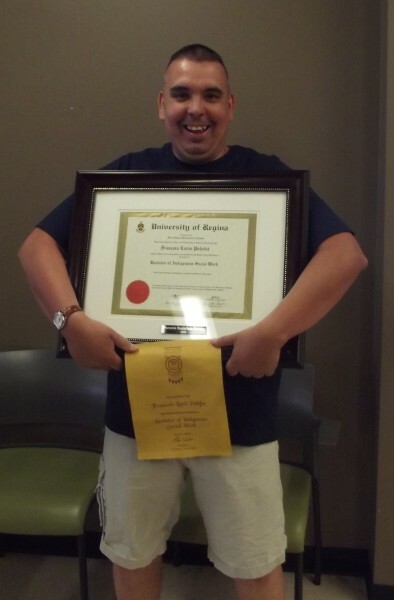 The Friendship Inn team is so proud of his accomplishment. Update: Francois has moved on from the Friendship Inn to take a full time Social Worker position. We are so excited for your new adventure, Francois!